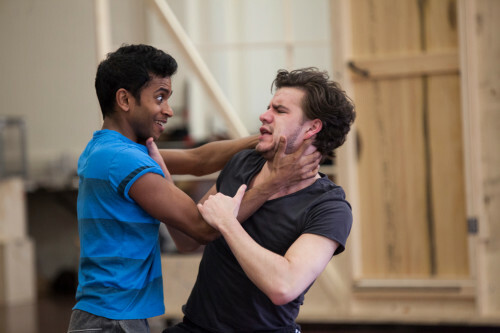 Pictured: Cymbeline in rehearsal. Photos by Ellie Kurttz. Shakespeare’s coming of age tragicomic romance, Cymbeline is a story of power, sexuality and identity – stunningly retold for the 21st Century. 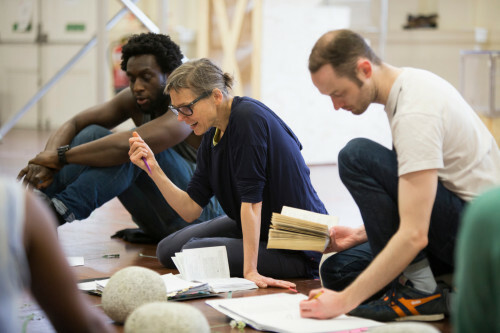 Royal Shakespeare Company chat to Director Melly Still about why she wanted to direct this rarely performed play, and what audiences can expect. Cymbeline is one of the lesser known of Shakespeare’s plays. Why did you want to direct it? I first read Cymbeline when I was 16, as it was compulsory A-level reading. It felt like a sort of thriller fairy tale – about two excitable people the same age as me: emotionally scattered, changing thoughts mid-sentence, losing confidence one minute and asserting it the next, full of ardour, rage, insecurity and arrogance, displaying the kind of death wishes that come with inexperience and a sense of invincibility. I’ve loved it ever since. It’s a play that expresses folly and valour in one person, brutality and kindness in another; it induces laughter and horror in the same moment. Like life, it’s full of contradictions. It’s about teenagers coming of age: Innogen and Posthumus think they are in love but have no idea how to sustain it. They have to strip themselves of their acquired identities and learn resilience, tolerance and acceptance before they can reunite, and even then there is no certainty. The story is one that still strikes a chord today. The UK is still grappling with national identity both within its island and beyond; is it better off as a part of Europe or is the surrounding sea an irresistible sever? I can’t think of a more pertinent play in the canon than this one. Can you tell us a bit about your vision for the production? We’re framing our production in the not too distant fantasy future. It’s a dystopian vision: we’re imagining Britain after years of increased insularity and defensiveness, exacerbated by an insecure future. Suspicion, poison, corruption and banishment rule. Nature no longer flourishes, and our industry has withered too – modern comforts and technology are scarce. This Britain is a parched, old, crumbling and inorganic environment. Hope is being squeezed out. But this is a tragicomedy. Values and beliefs are tackled with humour and pathos. There is bitterness, sweetness and absurdity. Many people will be interested in your casting, especially your decision to cast Cymbeline with an actress. Can you tell us about your thought process behind this? Cymbeline explores the restoration of order from disorder. Whether we name it or not, to most of us that probably means patriarchal order. Apart from the fact that it makes no sense to perpetuate a limited view of women by having so few on stage, I was also interested in shifting expectations by making both Cymbeline (the monarch) and Guiderius (the heir to the throne) women. When Guiderius (or Guideria) and Cymbeline are reunited, the sense of relief at having a good King in place to restore order is undermined. Rather than the restoration of patrilineal order, it becomes more about the possibility of a new order. Queen Cymbeline is no less flawed than her original male counterpart. She is still ineffectually trying to make an old system work under the influence of her devious husband. But when we discover she has been separated from her child, we might focus more on her personal grief than on the country missing an heir to the throne. How does the increased number of women on stage and the flipping of characters’ genders (Cymbeline and the Queen/Duke) affect the play? There is no reason for the characters in this play not to be women, other than a desire to be traditional and to render the play as truly Jacobean as possible. In life there are as many women as men in the world and Cymbeline is a snapshot of life. I think it would have been just as valid to have Cymbeline the man played by a woman but I chose to swap the genders. The effect is that Cymbeline’s queen and Innogen – the two traditionally female characters, wicked queen versus spirited princess – no longer serve as polarised perceptions of women. The wicked queen is great fun but no more so than a dastardly duke. 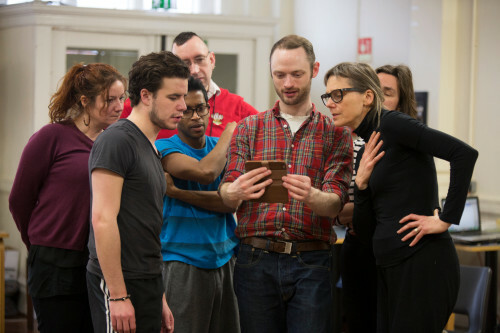 Is this your first time directing a Shakespeare play – are there any challenges specific to staging his work? Just that the more you dig, the more you find, so I need more rehearsal time! It’s a challenge, but an exciting one. The language is sometimes impenetrable on the page: it’s full of changes of thought mid-sentence, sentences within sentences and thoughts half expressed; but when the actors embody and animate the characters, it begins to cast a spell. 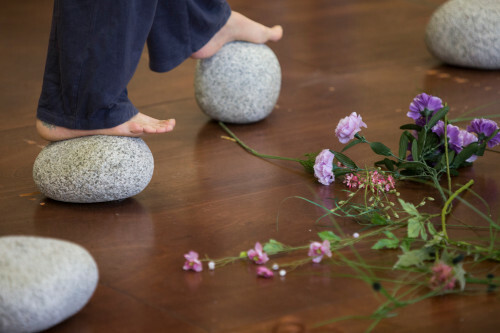 At the moment I can only think of the joys of staging, of everything I love: Shakespeare embraces wonder and the uncanny as part of everyday experience; his work demands an ensemble of physically and textually gifted actors; and there are no stage directions. The play is being staged 400 years after Shakespeare’s death. What makes Shakespeare’s plays still so popular after so many years? You can’t read a Shakespeare play without travelling in time. Every play reforms itself to fit any political, religious or cultural crisis. Cymbeline examines the impact of severing ourselves from the natural environment in the name of progress and civilisation. I can’t think of a play in the canon more pertinent to 2016 than this one. This year will entertain the discussion of British identity and union at length in preparation for the European referendum: issues that are dramatised by the play. What does it mean to be a united island or to be united with the rest of Europe? ; are we English, Scottish, Welsh, Irish or British? ; are we better off as a part of the European Union or not? Can you give us any sneaky peeks about what we can expect at this stage? The play is reset in a not-too-distant fantasy future. The Britain we see is mildly dystopian: we find ourselves in a post-fuel crisis world. All our modern technology and industry has been lost, as well as much of our natural landscape. In this society, resources are scarce, so everything is upcycled or recycled. Plastic bottles function as gas masks; weaponry is make-shift; clothing is repurposed high-quality garments: the bits that have lasted. It’s the future, but there are no mobile phones, no laptops, no tablets. The environment in the British Court is that of an old, crumbling, concrete-filled London: A tumbled, broken-down, palatial setting. Everything is parched. The only sign of nature we see, a single tree, is preserved like a museum piece. In Cymbeline, Shakespeare examines the impact of nature on our character as well as civilisation. In staging it, I was interested in how human progress can also sever us from our natural surroundings. 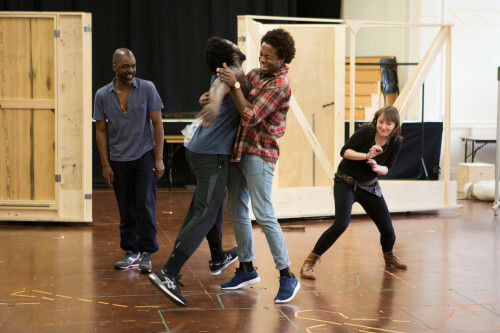 Captured live on stage in Stratford-Upon-Avon, Royal Shakespeare Company’s production of Cymbeline by William Shakespeare screens at Riverside Theatres on Sunday 30 October at 1pm. Click here for more information and to secure your tickets. 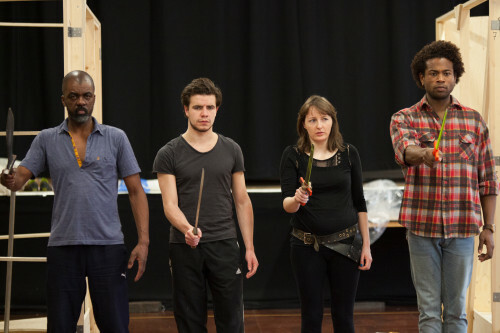 This interview was originally published by Royal Shakespeare Company on their Tumblr page. Click here to view the post.